There are 247 articles in this category. A recent paper in the Journal of Bone and Mineral Research found that increased bone mineral content (BMC) and bone mineral density (BMD) in childhood are positively associated with time spent doing high-impact physical activities (PA), even for those with a genetic risk of low bone mass in adulthood (1). 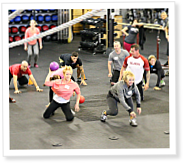 Peter Driscoll is a CrossFit Level 1 trainer and a physical-education teacher at Hartland Elementary School in Hartland, Vermont. He’s also the founder of HES CrossFit, which operates out of a transformed kindergarten classroom in the school. The affiliate is helping the school’s K-8 students gain strength and confidence through the integration of CrossFit into their daily lives. Educator Julie Potts applies CrossFit training principles to help her students succeed. A few months ago, I walked into a CrossFit box hoping to learn new ways to get in shape. What I did not expect was the insight CrossFit would give me into my career as a kindergarten teacher. Failed by their schools, kids rely on parents and coaches to teach them about proper nutrition. 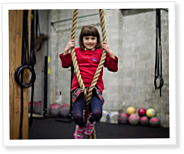 CrossFit Kids trainers say early sport specialization can have negative consequences on young children, especially when winning is placed above the joy of movement. Four CrossFit affiliates share their strategies for keeping kids safe and minimizing the logistical headaches of gym-based child care. Tacheena Rubio drives a long way to work out. There are CrossFit gyms closer to Rubio’s house, but she makes the hour-long commute to CrossFit Wilmington in North Carolina because the affiliate offers something others don’t: child care. Rubio has three girls, ages 1, 8 and 13. Parents use an old invention to fill the gap between training wheels and the freedom of two wheels. 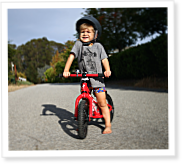 Learning to ride a bike is an important rite of passage for a child, but it can be a challenging process for both the child and the parent.